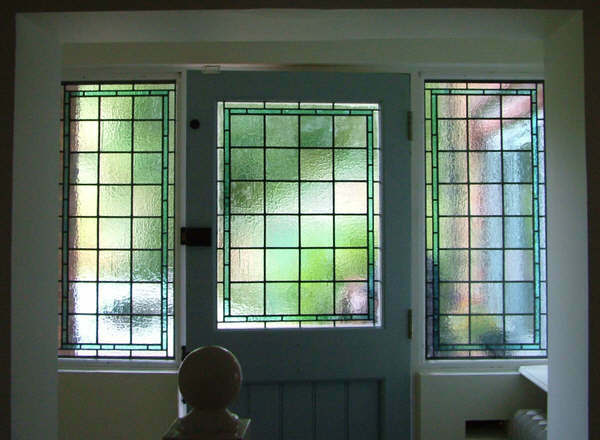 Sealed Units of Encapsulated Leaded Lights, Ewhurst, Surrey. Our customers request was to have some privacy and to have the safety and insulation provided by sealed units. Her favourite colours are pale turquoise and steel blues. 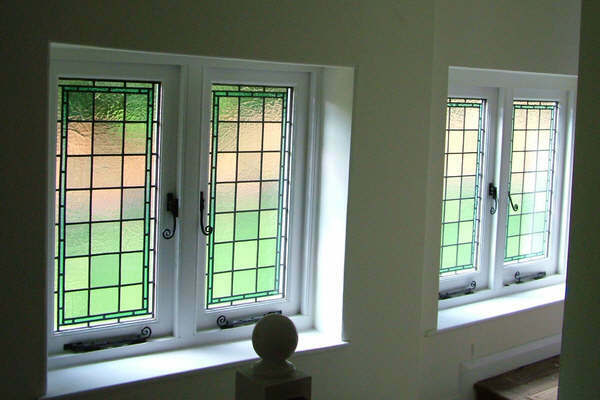 We chose a traditional style of leaded glass to match some windows already existing within the property. Some in diamond quarries and some in squares. 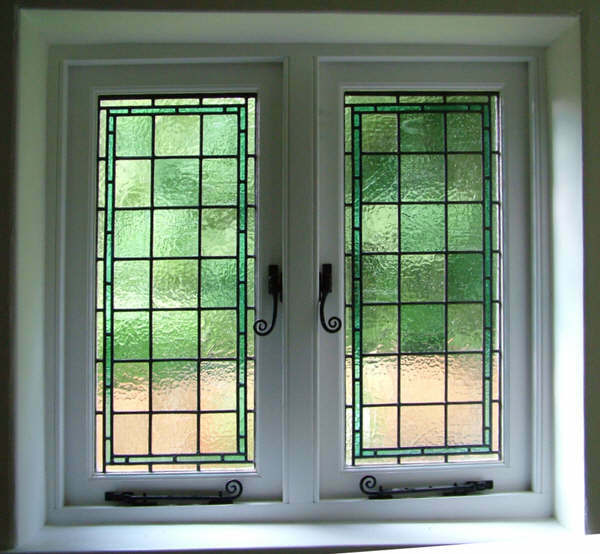 The panels are made using antique twice rolled cathedral glasses. 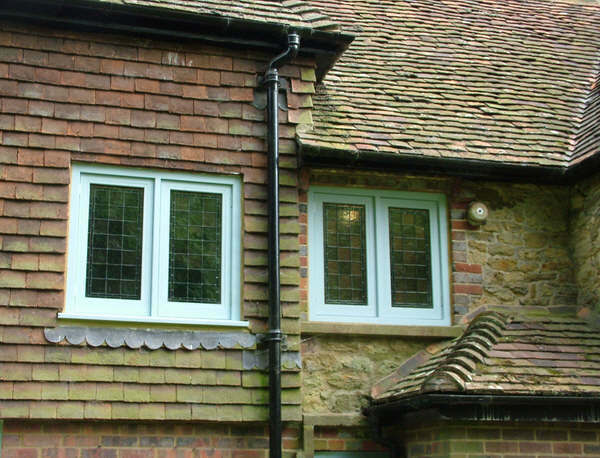 Twice rolled to give extra obscurity and therefore more privacy especially suitable as the landing windows can easily be seen from the road. We then encapsulated the panels into sealed units providing the safety, security and the insulation required.